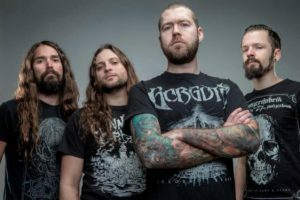 Revocation is an American extreme metal band from Boston, Massachusetts, founded by guitarist and vocalist David Davidson, bassist and vocalist Anthony Buda and drummer Phil Dubois-Coyne in 2000. The band have released six studio albums, two EPs and eight music video since its formation. 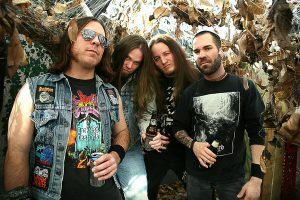 Exhumed is an American death metal band from San Jose, Californian that is currently signed to Relapse Records and centered around guitarist/vocalist Matt Harvey. 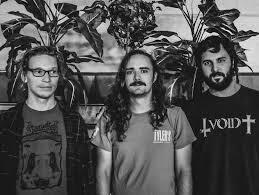 The band has released seven albums and eight split 7″ singles. They were formed in 1990, went on hiatus in 2005, and reformed in 2010. Yautja is a metal band who incorporate elements of grindcore, sludge, and doom to form a fresh sound dubbed “thunder punk”. 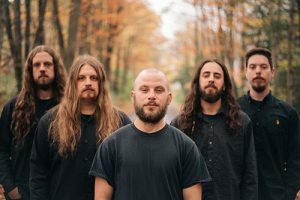 Three vocalists take turns tearing through morose lyrical content over savage tones, pummeling drums and mercilessly complex riffs. It’s a fresh, unique sonic experience that’ll make you feel primal, energized and painfully aware of humanity’s capacity for destruction.